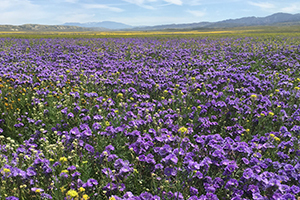 the beauty and ecological benefits of California native plant landscapes. 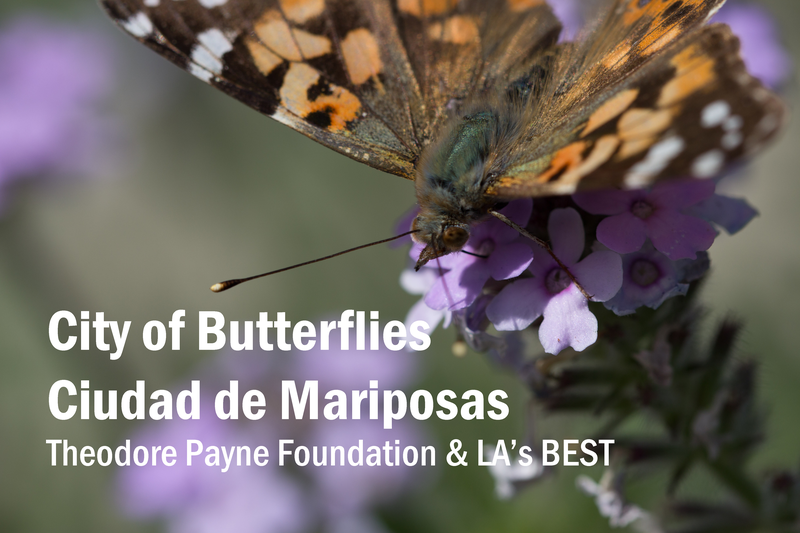 VOTE for Theodore Payne Foundation’s City of Butterflies initiative. Vote in the PLAY category by April 29 to help us win a $100,000 in the LA2050 Grant Challenge. With the grant, we will reach 2,500 students with environmental education and 10,000 plants to create more than 1,000 new butterfly gardens! Theodore Payne Foundation partners with the City Nature Challenge to document our environment. Join in these free events Apr 26-29. WILD FLOWER HOTLINE — online and at 818.768.1802 ext 7. Or or follow the podcast on Podbean, iTunes or Spotify. Weekly reports posted each Friday through the end of May. 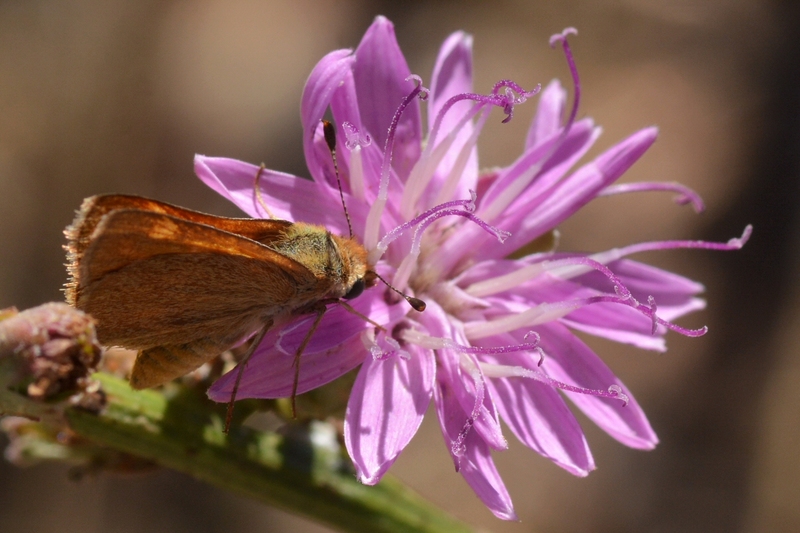 Apr 22, 2019 – Kathie Bozanich wrote an Earth Day feature on TPF and California native plants, including a list of recommended natives. Apr 17, 2019 – Josh Siskin, The Orange County Register, reflects on his Native Plant Garden Tour experience. Apr 4, 2019 – The Native Plant Garden Tour made the Cool List on LAist! Mar 31, 2019 – Tina Malave of ABC7 Eye on LA visits TPF! Mar 20, 2019 – Join TPF in advocating for a native oak in El Pueblo plaza! Theodore Payne Foundation is a non-profit organization that relies on people like you to support our mission through donation, membership, and by planting natives throughout Southern California. Thank you for your support. TPF’s City of Butterflies / Ciudad de Mariposas initiative empowers children to become eco-activists who make their communities safer, more life sustaining, and more playful! Youth will learn about the essential relationship between native plants and the butterflies they support and become part of a collaborative effort – to increase the presence of butterflies and the plants they thrive on – in neighborhoods across Los Angeles County.